When Johannesburg’s august Mayor Harry Graumann welcomed the Duke and Duchess of Connaught in November 1910, he presented the Royal couple with a lavish commemorative book which described the Town Engineer’s duties in terms of roads, parks, gas, electricity provision and other grand projects, but there was not a word about sewage, such were the Edwardian sensitivities to this delicate subject. Yet the disposal of human waste has determined the size and success of cities for three thousand years. Delta Park owes its existence to the expansion of Johannesburg’s sewage scheme during the 1930s when rural farmland on the outskirts of the city was transformed into the Delta Sewage Disposal Works. When gold was first discovered on the Witwatersrand in 1886, tents and ramshackle dwellings sprung up. Within a year the population had risen to three thousand and Paul Kruger established a Sanitary Board to govern the nascent town. Eminent citizens such as Jan Eloff, W.J. Biccard and Hans Sauer served on the Board and had a hard task administering unruly miners and creating liveable urban conditions. Much of the soil of southern Johannesburg is unsuitable for French drains and septic tanks. There was no option but to collect refuse and household waste in tarred buckets (sanitary pails), which were put out on the streets each night to be collected (for a fee) by what went by the picturesque name of the Scavenging Department. By 1892 the population had risen to 40 000. The first engineer took up his post that year, but his duties were initially confined to establishing building standards, the construction of roads and taking care of public open space. By 1895 there were over 100 000 people and the engineer prepared a scheme for waterborne sewage and a sewage treatment plant and tenders were invited. But in 1898 the Pretoria government awarded the sanitary concession to E. Mendelssohn, a prominent Johannesburg entrepreneur. The contract gave Mendelssohn a twenty year monopoly to organise the town’s sewage system. By this time Johannesburg had a Town Council (formed at the end of 1897) and the councillors protested strongly against this concession, calling it scandalous and inefficient because the concessionaire sought immediate high profits and paid little attention to long-term planning and capital investment. In the event, the government was forced to cancel the concession but war was in the air and nothing further was done about sewage before the Anglo-Boer War ended in 1902. After the war, Johannesburg’s municipal administration was reorganised by Lord Milner and the municipal area increased from 5 sq miles to 75 sq miles. In 1904 bubonic plague broke out in the so-called ‘Coolie Location’ in Newtown and the Council expedited the implementation of waterborne sewage for the central and southern parts of Johannesburg. This was gravity fed through a network of huge underground sewers to a Council-owned farm at Klipspruit. The cost of this massive engineering project was Â£335 000. Klipspruit could only serve those parts of Johannesburg that fall on the south of the Witwatersrand watershed. To the north, properties either had French drains for the bath and wash-water, or as Juliet Marais Louw describes in her book, When Johannesburg and I were Young, an open tank in the yard for this ‘slop-water’. This was â€˜collected daily by an extremely smelly, mule-drawn slop-cart, from which emerged a thing like an enormous, long elephant’s trunk. This was passed up the side of the house and inserted into the tank, whence it sucked the effluent into a tank on the cart.’ Lavatories were external and buckets were used. These were emptied at night – hence the expression night soil – ‘into heavy, unsavoury mule- drawn lorries rolling ominously through dark streets’. William Alder was another Johannesburg resident with similar memories of that time: ‘After 11 p.m. the â€œnight brigadeâ€ would thunder through the suburbs collecting the black tarred buckets placed on the kerbside and leaving fresh buckets to be collected early next morning by residents.’ The sanitary vehicles were drawn mostly by Clydesdales, but other breeds of horses and mules were also used. As Alder remembered, it was all very unhygienic and enteric fever was not uncommon, even in areas of the well- to-do. As suburbs expanded to the north, the newer ones like Parkview were especially designed with sanitation lanes running behind the houses. Outhouses were built with a small hatch at the rear opening onto the lane, through which used buckets were exchanged for fresh ones in the dead of night. Where the geology was suitable, French drains and septic tanks could be used, but most Johannesburg residents had night soil collection which was dumped into the main sewers of central Johannesburg and went on its way to Klipspruit. In 1911 a pumping station was constructed at Bez Valley to take that sewage into the main outfall sewer, but otherwise the system was gravity fed. 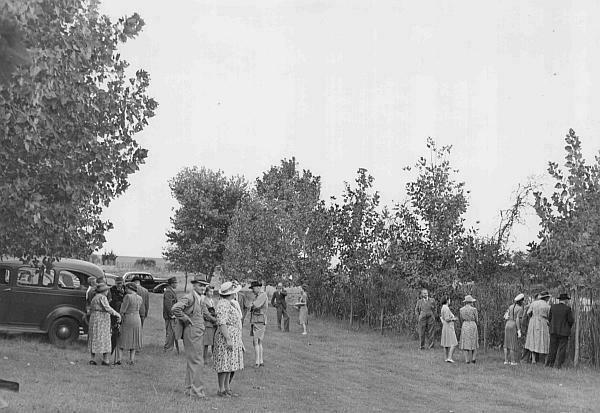 Such rural vistas and lifestyle were to change in the 1930s. By the late 1920s Johannesburg was bursting at the seams. New townships were rapidly being developed as industries grew apace and in 1928 it was proclaimed a city. By 1931 (incidentally the year in which the first double-decker buses came into service), Johannesburg’s total population was nearing 600 000 and it kept on growing. Klipspruit sewage disposal works was upgraded and consideration was given to a sewage system on the northern side of the watershed. Four sites were chosen in valleys that would allow gravity sewers to run from suburbs in the catchment areas of the rivers of the Witwatersrand. Names with classical connotations based on letters of the alphabet were chosen and were unconnected with any suburb so as not to diminish residential values in the vicinity. Antea Works on the west took care of sewage and industrial waste from Industria and drained via the Klein Jukskei into what is now New Canada and Fleurhof Dams. Bruma, now a lake and shopping centre is east of Johannesburg and took domestic waste from the suburbs of Observatory, Bez Valley, Sydenham, Sandringham etc. into the main Jukskei River valley. Cydna, now the Melrose Bird Sanctuary, is on the north-east of Johannesburg and served Houghton, Oaklands, Orchards, Norwood, Melrose and Illovo, draining into the Orange Grove Spruit which later joins the Sandspruit and eventually, the Braamfontein Spruit. Delta – which might have gained its name from the fact that the land on which the works was constructed was originally delta-shaped – was constructed to serve the suburbs of Parktown, Emmarentia, Auckland Park, Greenside, Parkhurst, Parkwood etc. It was situated on the small Delta Stream flowing into the Braamfontein Spruit. Because of the unusual processes used at Delta, the City Engineer, Dr E.J. Hamlin and a number of his colleagues in engineering and biochemistry, B.L. Loffell (later himself City Engineer), H. Wilson, E.G. White and J.R. Gaillard, all published academic papers on sewage disposal and were well received internationally. The original design of the Delta Works made provision for hand operated screens, a detritus pit, four hopper-bottomed sedimentation tanks, eight activated sludge (i.e. diffused air) units and hopper-bottomed sludge-separating tanks. The sludge would be treated in digestion tanks and finally dried on sand or ash under drained beds. Only part of the settled activated sludge was sent through the sand filters, the rest went directly onto about 100ha of nearby land as irrigation. It was estimated that Delta would begin with about four million litres of domestic sewage a day and eventually treat about eight million. Before the treatment plant was built, the reticulation service had to commence. The 1930s was a decade of tremendous economic depression in South Africa (as elsewhere in the world) and it was combined with a period of prolonged and devastating drought. Hundreds of thousands of poor people flocked into Johannesburg, virtually starving and desperately seeking work. Government policy at the time favoured the employment of poor whites and the large number of available labourers (as well as the growing urban population) played its part in the Council’s decision to embark upon this large investment sewage system during the depression. The entire reticulation of Parkview, Sunnyside and Richmond, for example, was done with poor white labour. 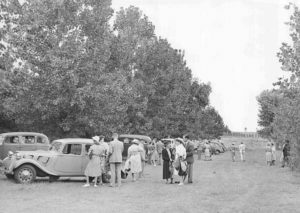 In 1933 the council engaged an additional 528 men who could show that they had resided in Johannesburg for two years; paying them six shillings a day for a five-day week of which the government subsidised half. The Council expressed the hope that some of these earnings would improve their prospects for a happier Christmas and to provide shelter and clothing for the cold winter months which lay ahead. As early as 1932 the main sewer to Delta in Emmarentia Avenue was completed. Between June 1933 and June 1934, more than 50km of pipes were laid. By 1935, Parkview, Westcliff, Saxonwold and part of Parkwood were included and the main sewer from Parktown to the Delta Works had been completed. The first sewage was treated experimentally at Delta on 8 April 1935 and on 21 April the first houses were connected. The only major problem encountered was in the construction of the main sewer linking the Newlands area to Delta. There the soil was soft, consisting of peat and clay, and the entire length of the pipeline had to be clad with timber (like a stope in a mine) and even so, serious mud-slides occasionally occurred. The construction of the Delta works proceeded along with the reticulation system. The huge excavation project began in October 1933. Some 17 000 cubic metres of earth were moved, of which two thousand consisted of solid granite. Part of the excavated material was used for building up the road from the entrance to the building and some used for levelling the site for the Delta building and the terrace in front of it. The builders were Messrs Johnston and Stronach (Pty) Ltd and the value of the contract was ?13 571.1.0. With considerable ceremony, the foundation stone of the building was laid on 25 July 1934. By this time, the sedimentation tanks had been completed as had the pump and tank rooms. Just as the Delta Works are an important part of the sanitation history of Johannesburg, its building is a significant one in the architectural history of the city. Europe had been economically devastated after the First World War and the United States began to dominate the international stage. The world looked to America for leadership, not least in the architectural domain. After all, the United States was modern and was prospering once more as the extreme effects of the depression began to abate. Its future as a superpower seemed assured. Art Deco was the architectural vision of the time and the Delta building is an extremely good Johannesburg example of it. Like its contemporary fellows, Castle Mansions (1931), the Colosseum Theatre (1932-33) and Broadcast House (1935-37), Delta, in the words of architectural historian Clive Chipkin, works against the grain of the post-Edwardian architecture of the Herbert Baker school, ‘adopting instead the latest stylisms and technology of Art Deco New York. All the unwritten assumptions – the parochialism and elitism, the reticence – of Anglo-South Africa came to be challenged by the brashness and drive of American populism.’ In 1936 Johannesburg celebrated fifty years of existence with the golden jubilee Empire Exhibition at Milner Park and a visitor at that time would not have been able to avoid the conclusion that with ‘Johannesburg’s underlying desire for American skyscrapers, American congestion and traffic dislocation’, the city was showing distinct signs of modernity. Into this ethos, Delta fitted perfectly. 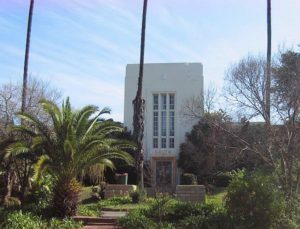 Unlike the other sewage disposal works of Johannesburg, a feature of the Delta design was that the sorting screen, detritus pit and sedimentation tanks, together with the machinery rooms and general offices were housed in a single grand building. The City Engineer was particularly proud of the ‘imposing switch and instrument board’ which was designed and built by the Electricity Department. All the control and recording instruments were housed on this board which had advanced remote control capabilities. Not only was Delta state of the art architecture and electrical design, but it was extremely modern in terms of ecological recycling. The methane gas from the digestion tanks was collected and used for fuel for a gas engine alternator. This generated electricity for driving the air compressors and an advanced ozone- treated ventilation system for the tank room. The performance of the methane gas alternator was extremely good, and in 1938 it was producing more than 80% of the power requirements at Delta. In addition, the waste heat from the gas engine was used for heating the crude sludge entering the digestion tanks. In addition, the City Council maintained a small herd of dairy cows on Delta and allowed a few private farmers to make use of the well fertilized grazing on council ground. include these peri-urban settlements, fearing the tremendous cost of providing essential services. One of Johannesburg’s most prominent town planners of the time, P.J. Bowling, noted that Johannesburg was not growing from the centre outwards which was the organic growth pattern of most cities, and confessed that he was ‘viewing with some concern the ever-increasing accretions on its border, spoiling the beauty of its approaches, choking the outlets and creating potential insanitary and unhealthy areas and a cradle for other evils. There were two important government commissions at this time. In 1936 Richard Feetham produced his Report of the Johannesburg and Germiston Boundaries Commission, which advocated that Johannesburg grow only in accordance with what its sewage system could handle and thus incorporate only those areas which could be served by the existing sewage works of the city. Many of these settlements were populated by extremely poor people, white and black. Some areas had a sanitary pail collection service, but many did not, and even where there was a service, some inhabitants could not afford to pay the five shillings required for it. The water supply came from wells and boreholes and it would not be long before these were contaminated and a serious health hazard created. On Feetham’s recommendation, the areas of Craighall, Greymont, parts of Craighall Park, Linden, Illovo and what was to become Blairgowrie in 1941 were included in the city area. In 1938 a second commission under Sir Edward Thornton, formerly Secretary for Public Health, recommended the establishment of the Peri-Urban Areas Health Board to administer the areas which are today’s Sandton and Randburg, Northcliff, Fairland and other western suburbs. The sewage treatment works bore the brunt of the additional Johannesburg population and Delta was extended by 50% with more aeration and sludge separating tanks. In 1939 biological filtrations systems were being researched and better sand-bed filters being constructed. In spite of the constraints of the Second World War, a new compressor was ordered for Delta in 1941 and in 1942 a new sludge reconditioning unit was installed. But it was becoming clearer that the activated sludge method of sewage treatment was not flexible enough to cope with the expanding demand. Biological treatment was showing its potential and it was impossible to convert Delta into this system without spending a great deal of money. Expansion would also necessitate the acquisition of more land and with the growth of residential suburbs in this area, ground was extremely expensive to purchase. In addition, considerable opposition to expanding or reconstructing Delta was expected from residents, who were already complaining that the stream below Delta was polluted. The engineers were worried too, because for some reason which they could not account for, Delta was being inundated with far too much fresh water. Either it was ground water which was infiltrating the plant, or it was the illegal addition of stormwater, but wherever it came from, it was increasing the intake of the plant to twice its maximum capacity in the rainy season. Making matters worse was the invention of the synthetic detergent at this time, which may well have improved the cleanliness of laundry, but totally changed the chemical composition of sewage as a result. Wartime stringencies caused engineers to think about other economic benefits of Johannesburg’s sewage farms. In 1941 a plantation of Deltoida poplars was started at Delta. 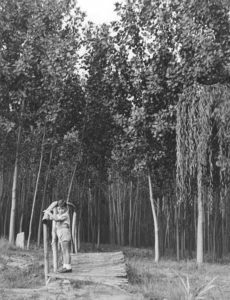 The timber from these deciduous, extremely fast-growing Cottonwoods was highly suitable for matches and the council hoped that it would not be long before the timber could be sold for this purpose. Many of these trees, which have a highly invasive root system, still grow on the Delta property. Another experiment was done with soap and grease-making. A combination of the hard water of Johannesburg, together with the fact that many of its people have a high-fat diet and dispose of this fat and grease in the sewage system, means that the sewage of Johannesburg has an extremely high soap and grease content. During the war studies were done on how to recover this grease and use it commercially as soap and engine grease, but in the end, the project came to nought, as did another project to manufacture cyanide from sludge gas. or many decades to come. Together with the constant upgrading of Klipspruit on the south which had been well sited from the start, Johannesburg’s sewage problems would be ended. In the event, his vision has come to pass. But the construction of the massive Diepsloot project, with its enormous length of pipeline, which required both bridges and tunnelling to keep its gravity-feeding at the optimum, was extremely expensive and would take a long time to construct. For many years, Antea, Cydna, Delta and Bruma had to continue to be upgraded piecemeal and as cheaply as possible until the Northern Works came onstream. In 1951 the design of Northern Disposal Works was finalised and it was only in 1959 that these works began to accept any volume of sewage from the other treatment plants. Until the time for closing the Delta plant came, expansion was frenetic and ongoing. A new biological filter bed 4m deep and about 35m in diameter was added, as were two large humus tanks and twelve sand filters. Soon a second biological filter was needed and all four compressors were in continuous operation. In 1952 a diversionary sewer had to be constructed to take some of Delta’s sewage to Klipspruit and the weirs on the activated sludge settling tanks had to be raised. By 1955 the position was critical as all the sewage plants in the north were treating far more than they were designed for. Because all of them had a limited future working life, it was uneconomical to extend them properly. Indeed, it was hoped that Delta could close by the end of that year so desperately overloaded had that situation become. Exacerbating the position was the inept construction of the first of the new biological filters which had been built while many of the city’s officials were still away at war. Delta’s problems were compounded by the use of a dolomitic aggregate in some of the main sewerage pipes which began to corrode as a result. Each year the Northern Disposal Works took more of the sewage from the four small works which had now seen some thirty years of service, but they were still needed and they continued to operate, especially as the reticulation of Craighall, Blairgowrie and parts of the newly established town of Randburg (1959) neared completion. By 1961 Delta was experiencing a serious foaming problem which was insoluble, but which was held at bay with the use of daily surface hosing and the use of anti-foaming agents. In December 1961 the City Engineer recommended that Delta could close in March or April 1963. The manager of Delta, Mr C.W. Chrystal, who had been at the works since 1934 was eligible for retirement, but was retained until the end as he was a vital expert on the obsolescent plant. In 1962 the decision was taken to establish a township on part of Delta, and once the machinery had been removed and the tanks filled in the rest of the area would be given to the Parks and Recreation Department to take care of. In 1963 the second forty million litres per day unit of the Northern Sewage Works was at last completed. Delta ceased operating at the end of June 1963 and tenders were invited to remove the machinery. Appelgryn, M.S, ‘Die ontwikkeling van plaaslike bestuur in Johannesburg, 1886- 1899.’ Unpublished M.A., University of South Africa, 1971. Barnard, J.J.,’Factors affecting the anaerobic sewage sludge digestion process with specific reference to certain toxic phenomena.’ Ph.D., Unisa, 1973. Beirne, L.J., ed., Johannesburg Royal Presentation. Johannesburg: Town Council, 1910. Bodman, W., The North Flowing Rivers of the Central Witwatersrand. Johannesburg: The author, sponsored by CIBA-GEIGY, 1981. Call, Steven T., ‘The sewage treatment service: Economies of scale and optimal industrial surcharge strategies.’ Ph.D. Indiana University, 1977. Carruthers, E.J., â€˜The growth of local self-government in the peri-urban areas north of Johannesburg, 1939-1969.â€˜ Unpublished M.A., University of South Africa, 1980. Chilvers, H., Out of the Crucible. London etc. : Cassell, 1929. Chipkin, C.M., Johannesburg Style: Architecture and Society, 1880s to 1960s. Cape Town; David Philip, 1993. Clarke, J., ed., Like It Was: The Star, 100 Years in Johannesburg, 1887-1987. Johannesburg: Argus, 1987. Feetham R., Report of the Johannesburg and Germiston Boundaries Commission, 1936-7. T.P. 6-1937. Grant, G. and Flinn, T., Watershed Town: The History of the Johannesburg City Engineer’s Department. Johannesburg: City Council, 1992. Johannesburg City Council, Annual Report 2008s of the City Engineer, 1930 to 1963. Kennedy, L., ‘A short history of Craighall and Craighall Park’. Unpublished paper presented at the Annual General Meeting of the Craighall Residents’ Association, November 1978. Marais Louw, J., When Johannesburg and I were Young. Johannesburg: Amagi Books, 1991. Maud, J.P.R., City Government: The Johannesburg Experiment. Oxford: Clarendon Press, 1938. Meiring, P.G.J. et al, A Guide to the Use of Pond Systems in South Africa for the Purification of Raw and Partially Treated Sewage. CSIR Special Report WAT34. Pretoria: CSIR, 1968. Merry, T.G., The Golden City: Diamond Jubilee Souvenir, 1886-1946. Johannesburg: City Council, 1946. Robertson, Claire, ed., Remembering Old Johannesburg. Johannesburg: Ad. Donker, 1986. Shorten, J.P.R., The Johannesburg Saga. Johannesburg: The author, 1970. Smith, Anna H., Chronology of Johannesburg. Johannesburg: Africana Museum, 1977. Smith, Anna H., Johannesburg Street Names. Cape Town etc. : Juta and Co., 1971. Smith, Anna H., Pictorial History of Johannesburg. Johannesburg: Juta and Co., 1956. Stark, F., ed., Seventy Golden Years, 1886-1956. Johannesburg: City Council, 1956. Van Vuren, J.P.J., Soil Fertility and Sewage: An Account of Pioneer Work in South Africa in the disposal of Town Wastes. London: Faber and Faber, 1949. Thanks to: Librarian Ms C. Wilshire, Local Government Library, Greater Johannesburg Metro Council. Phase 1: Debris that might clog machinery is removed by hand on sorting screens. During the 1960s, before the invention of birth control pills, condoms were a major clogging problem. The City Engineer’s reports record that workers removing condoms were cleaning them and offering them for resale! Phase 2: The sewage flows into settling tanks where larger particles of sand and grit settle to the bottom and are removed from hoppers beneath the tanks. Phase 3: Organic material in suspension is moved into sedimentation tanks, where about 50% of suspended solids are removed as sludge. Only about half of the organic matter can be removed mechanically as sludge and at Delta, a pioneering process called ‘activated sludge’ was used. In this process gelatinous sludge particles, known as ‘floc’, are suspended in an aeration tank and supplied with oxygen. Organic matter is absorbed by the floc and converted into harmless gasses and by-products. Phase 4: A microbiological process converts the sludge to methane, carbon dioxide and ‘digested sludge’, an inoffensive, humus-like material. Phase 5: Digested sludge is placed on sand beds, where the water percolates into the ground or evaporates. At Delta, terraces of sand beds were laid out on the north of the building. The remaining dry sludge is used as fertiliser.